The NHS says a serving of sprouts is 8 and not 4, but I suspect they think a sprout weighs 12g not 24g. Doesn't the maths all work if the label says "serving size 8 brussel sprouts (84g)"? Personally that's 8 too many for me. 5 servings of 84 g is 420g. Allowing for the inedible chaff that comes out pretty close to the 454g bag you have. So, you must have smaller than USDA standard sprouts, but does size REALLY matter that much to you??? 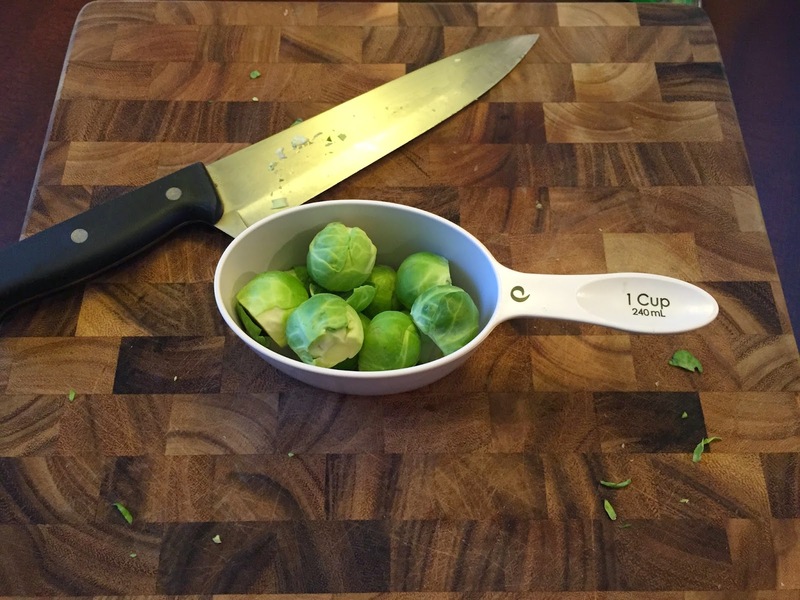 The sprouts-in-a-cup pic highlights why its so important to cook (and bake) by weight (sorry mass, we are using grams after all) not volume. 1. Seth has trouble with math. 2. Seth eats Brussels Sprouts - but we all knew he was weird. 3. USDA standard Brussels Sprouts are ENORMOUS. When people are on calorie restricted diets, every ounce counts! and you are not going to tell us how she prepares them? I have a five-year-old waiting in the wings for these amazing brussels sprouts. just seasoned & roasted (salt & pepper). sometimes they go in a roasting pan under a chicken (with potatoes, onion, and carrots).